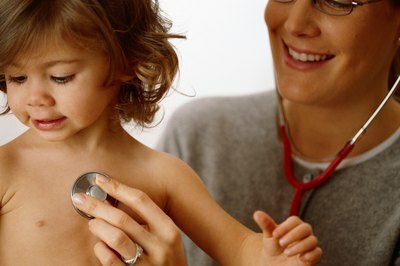 Nurse practitioners care for both children and adults. The first step on the road to your NP practice is a master’s degree. 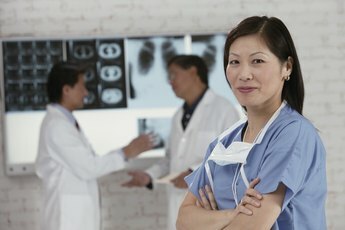 You can’t even enter the program unless you already have an RN license, and many NP programs require that you have some experience under your belt. Since RNs can become licensed with one of three basic training programs -- associate degree, nursing diploma or bachelor's degree -- you should check with the school of your choice to see if you meet the prerequisite requirements. If you have a diploma or associate degree, you may need to take some more classes or even repeat classes to get into NP school. Once you graduate from an NP program, you’ll need to get a new license to work as an NP. In some states, you will also need to be certified. In addition to your NP license, in most states you will need a furnishing license that allows you to prescribe medications. If you will be prescribing controlled substances, such as pain medications and sleeping pills, you will also need a Drug Enforcement Administration number. All of these licenses and certificates must be renewed regularly; the intervals differ according to the particular license or certificate. Continuing education courses are usually required to maintain an NP license or certification. 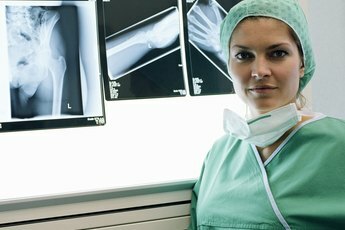 Your new license authorizes you to perform physical examinations and diagnose acute and chronic illnesses or injuries. You’ll need to know how to order, interpret, and evaluate lab tests and other diagnostic procedures. You will also be able to prescribe most medications, perform procedures and minor surgeries such as suturing wounds, incising and draining an abscess or taking a skin biopsy. Each state has different requirements and limitations on nursing practice so you must be knowledgeable about your state's nurse practice act. Although nurse practitioners work with a supervising or consulting physician in most states, one important qualification you’ll need is the ability to work independently most of the time. You’ll need good diagnostic skills and clinical competence to manage patients of different ages who have a wide variety of medical problems. 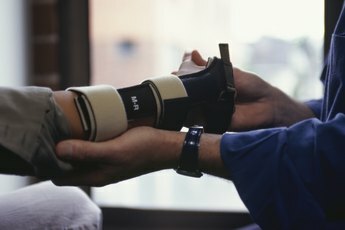 You should also have good people skills, to work not only with patients but with other members of the health care team. Last but not least, you should have high ethical standards. 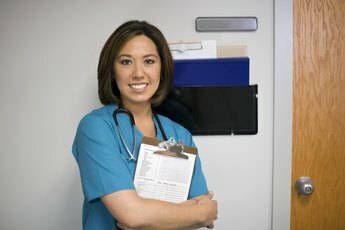 American Association of Nurse Practitioners: What's an NP?